This week we experienced the first power outage of the summer. Luckily many steps of my craft are done by hand. 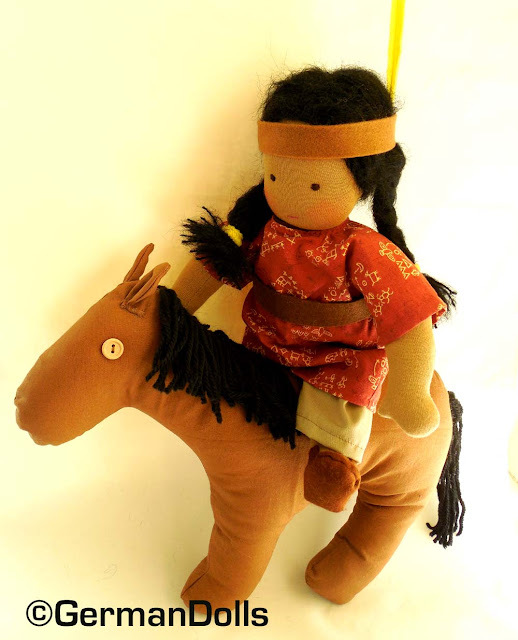 So I was able to finish off this lovely Native American Waldorf style doll and her horse despite the powerlessness. Yay, for handwork! I keep thinking should we ever be thrown back into the stone age because of one catastrophe or another they will need people who know how to make stuff with their hands. Lucky us! Considering how hot it has been it was bound to happen, right? With all air-conditioners cranked up to wazoo or every fan in town spinning non-stop, I was counting on it to happen. But it never did until the day before yesterday. No power for about 6 hours. It's funny when the power company calls to leave you a message to let you know that they are working on fixing the problem on the phone that is not working because of said power outage. Haha! Driving during a power outage sure makes for a challenge. Looks like most people forget basic traffic rules when the lights are not working. Do you know how to take turns, people? Seriously! My daughter was freaking out, and I was glad to make it home in one piece. Since the power wasn't restored on time to cook dinner the family went out for Chinese food. Ha, better drive to a restaurant outside the neighborhood where they have power. We learned that lesson about two summers ago. It was rather weird coming back to a steaming hot house and walking in with flashlights. It's a terrifying thought. What if the power didn't come back on? Power outages are always a sobering experience in that we realize how spoiled we have become. I think my the little primitive pony I sewed up during that time goes well with this theme. She is so simple and sweet. 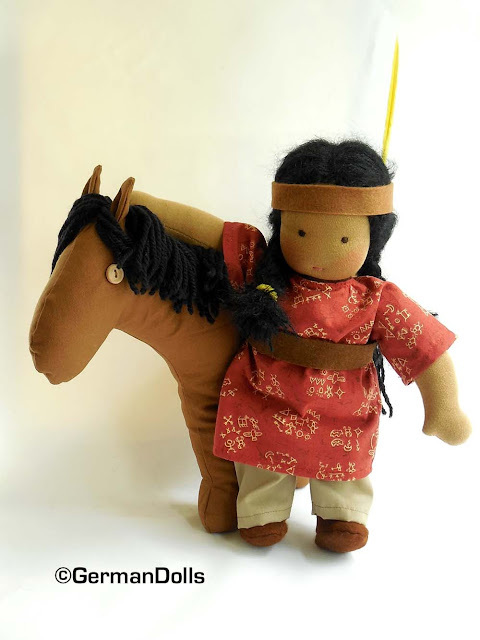 The kind of toy a stone age person without sewing machine would have come up with. Still I think she is perfect, and I am happy to have found a good home for Yellow Feather already.